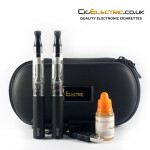 Congratulations on buying your electronic cigarette starter kit. This guide will explain how to fill your starter kit once you receive it. It will also explain how to use and charge your battery, maintain your device and how to get the best performance out of it with some tips for usage. 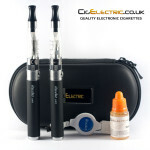 Please watch the videos, they may be the easiest method to learn how to fill your electronic cigarette. Click the power button 3 times to unlock. The button on your battery has a remaining charge indicator. Green means more than 50% remaining, yellow is less than 50% and red is below 20% remaining. We recommend charging your battery when below 20% (button glows red) to maximize the lifetime of your battery. When the battery is empty it will flash 5 times and no longer activate. 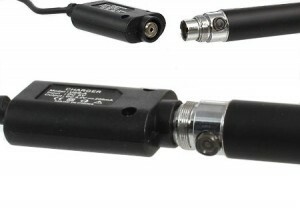 The LEO Pro battery can be used while charging once the battery indicator turns green. Unscrew the battery from your clearomizer. 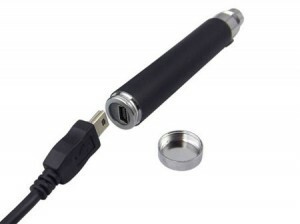 Gently screw the top of the INNO battery into your USB charger until contact is made. Do not over screw! When fully charged the led on the charger will turn from red to green. When it is close to charged the USB charger may intermittently flash green. Please wait for the LED to stay constantly green for a complete charge. After some time you may notice a reduction in vapour and performance. At this point you can replace the clearomizer or clearomizer head (on the dual coils). Cleaning as outlined below can also extend their lifetime. For the single coil remove the mouthpiece, fill with hot water and shake vigorously several times. Repeat until the wicks are as clean as possible. Allow to fully dry. For the dual coil unscrew from the base, remove the clearomizer head and rinse with hot water until the wicks are clean. Allow to fully dry. Those who complain should leave e-cigs alone and not ban them. thanks to these. I reckon e cigs deserve much better recognition. I must also say that nicotine most people agree, is not a carcinogen. I feel much healthier now than when I was smoking. I am devoted to my ego ce4 e-cig. I think it’s as necessary as my razor for me. I have not had a real cigarette for nearly 2 months. I save a lot more money too. Get a ce5 e cigarette. I think it’s as critical as my phone to me. I have not used a ciggy for over 7 months. I save a lot more money too. I bought the pro starter kit a couple of months ago and have been experimenting with flavours since then.I never realised that in doing so I got over the habit of holding a cigarette. I have been using my e-ciggie without any sort of withdrawal symptoms, in fact I can feel the difference it is making to my body in terms of better sense of smell and taste, even previous smokers cough has vanished. I tried the odd smoke a couple time but didn’t actually like the taste. I doubt I will go back to them ! I can smell smoke in the house and am trying to convince my wife to move onto, what has to be a much healthier way, of getting a shot of nicotine which is the addictive bit of course. In fact, if you could stop the addiction part of nicotine, do you realise how many benefits ingesting it would have ? I was surprised ! To all doubters out there, give this method a try, if I, a 30 a day guy for 40 years can switch over so easily then anybody can !!! Ben is really helpful with tips ( excuse the pun ) and has always offered me sound advice !! You only need to press the button 3 times to lock / unlock the battery. Once unlocked, press and hold the button on your battery to activate. Take a slow and steady draw on the mouthpiece for 3-5 seconds. The longer you draw the more vapour you will get and the stronger the throat hit will be. This may take a little practice but will become second nature and soon you will be producing large amounts of vapour and great throat hit.